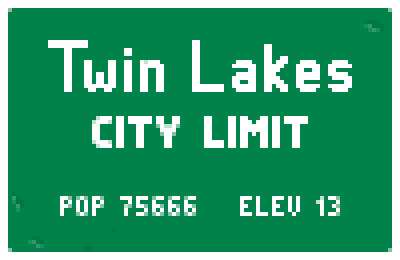 Twin Lakes is just like any other American city – mean streets, twenty-four hour diners, transdimensional doorways… wait, no. No, that last thing isn’t right. It is, in fact, far from right. But it is common in Twin Lakes. You might ask how a city operates when the forces of evil are around every corner and in every coffee shop (hogging the nice window seats and bathroom stalls right when you need them). Well, ignorance is bliss and the people of Twin Lakes are pretty blissful. Most don’t even believe anything strange is going-on. But thanks to people like Police Chief Scully and Detective McQueen there are a few precautions against the darkness – occult items are banned, vampires are on a no-fly list and there is the Darkside Division, the two-man operation responsible for enforcing the more esoteric rules of Twin Lakes and investigates strange goings-on across the city. 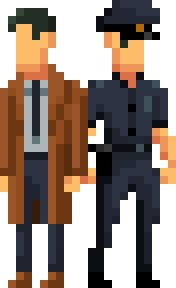 McQueen and his sidekick Officer Dooley are, for better or worse, the first and last line of defence against things that go bump in the night (things that go bump during the day are the jurisdiction of another department).